The Metropolitan Building (or “Metro” as the students call it) is the building that houses the Health and Human Performance majors as well as the nursing school and university television studios at the University of Tennessee at Chattanooga. Located on the west end of campus on McCallie Avenue, this 50,000 square foot building houses office space for faculty and administration as well as classrooms and study lounges. St. Luke’s is a residential hall located near the center of campus at the University of the South – Sewanee. 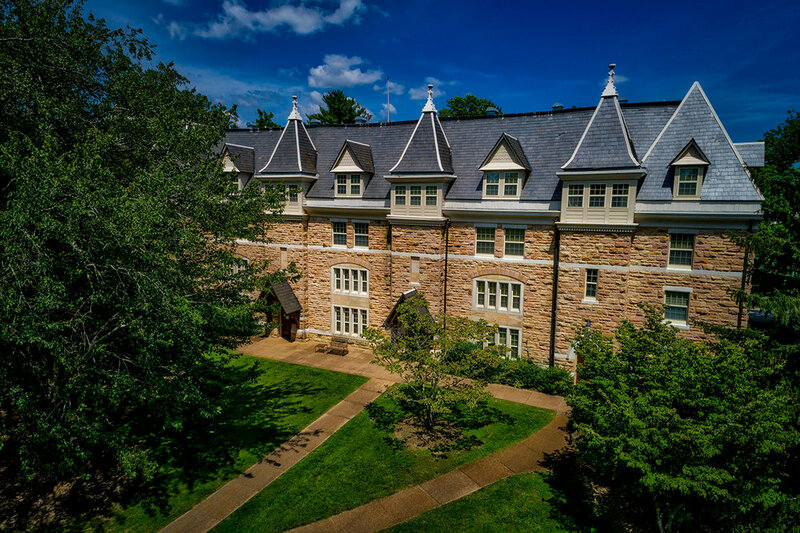 Originally built in 1887 to house the Seminary, this building was refurbished to its former glory to now hold a co-ed residence hall that houses around 103 students. On the main floor, The Oratory was preserved to serve as a study lounge with a section of “seminar style” seating for study groups and interactive discussions. Completed in 2009, this project for the Baylor School in Chattanooga, TN was to build a LEED certified dormitory for some of the male boarding students at the school. At 15,000 square feet this unit houses students and includes two study lounges as well as two apartments for the Dorm Parents who stay on campus with the boys. The Johnson Obear Apartments are a co-ed student housing facility located near the center of campus of the University of Tennessee at Chattanooga on Oak Street. The buildings consists of two different apartment styles with a total number of 450 “bed spaces” for students and was completed in 1997. Each apartment offers a full kitchen and living room in addition to the 3 or 4 room layouts with one bathroom. The buildings also offer community spaces, study rooms, laundry facilities, and 1GB fiber optic internet available to all occupants; as well as a beautiful and relaxing courtyard in the center of the connected buildings. The Hickman Science Center was completed in 1996 for the Southern Adventist University to house all of the science majors for the University. Located in the center of campus, construction had to be done in a way to not disrupt the daily life of students at the college. The 86,000 square foot project included structural steel, a greenhouse system, HVAC, concrete retaining wall, and labs. McCroy Hall at the St. Andrew's School in Sewanee is the home of the arts department. This $3million dollar 20,000 square foot facility was completed in 2008 with LEED materials and supplies and houses an absolutely beautiful concert hall where students and professional musicians alike perform their various arts.